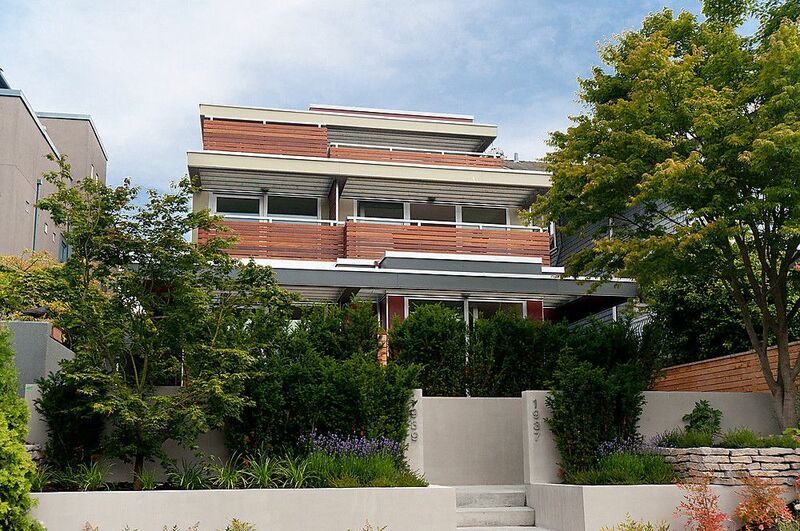 KITS POINT OASIS-Stunning modern Euro style half duplex newly constructed on one of Kits Points finest streets. Custom designed by Stuart Howard Architects with incredible attention detail including soaring vaulted sky lit stairwell, wood and steel construction, 9' ceilings on main, quartz countertops, German Euroline windows, and durable wire brushed oak floors throughout. Absolutely gorgeous 2 bdrm plus nook home features access from every room to patios & decks and fantastic third floor roof deck with mountain & city views. Spacious s x s plan is flooded with natural light and offers a multi layered sound insulation party wall between town homes. Tons of storage with a 4' insulated crawl space and secured private garage. This exquisitely finished beachside residence is only a few short minutes to parks, ferry, Granville Island and downtown. Open: Sat, July 16, 2-4. Open: Tues, July 19, 10-12.